NAMM 2019: Marshall has announced the Studio series, which features 20W versions of some of the company's most legendary amps: the Studio Classic (JCM800 2203), Studio Vintage (JMP 1959SLP) and Studio Jubilee (formerly the Mini Jubilee). Made in the U.K., the amps are all available in a head or combo format. The combos feature a 10” Celestion V-type speaker, while power switching drops the wattage from 20 down to 5. All three amps include three ECC83 and two EL34 valves, in addition to presence, bass, middle and treble controls. Just like the original, the Studio Classic features high and low-sensitivity inputs, plus preamp and master volumes. The Studio Vintage, meanwhile, features High Treble and Normal channels and four inputs. 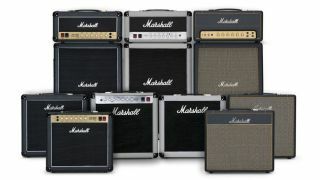 Prices for the Marshall Studio series amps have yet to be revealed. For more info, head on over to marshall.com.